An event held in a similar format to the popular TED (Technology, Entertainment and Design) Talks that is widely popular across the world, TEDxKL 2015 brought together an impressive line up of 14 speakers – among them were Irshad Mobarak, renowned environmentalist and Afdlin Shauki, actor-director-comedian-singer and more recently, a budding entrepreneur and humanitarian. “Education has to be able to inspire, thus our continuous partnership with TEDxKL is firmly based on the commitment that we want our students to learn from those who have made an impact on a global scale. This will open their minds to form their own opinions about various subject matters, thus honing their critical thinking skills,” said Rohit Sharma, CEO of INTI International University and Colleges. 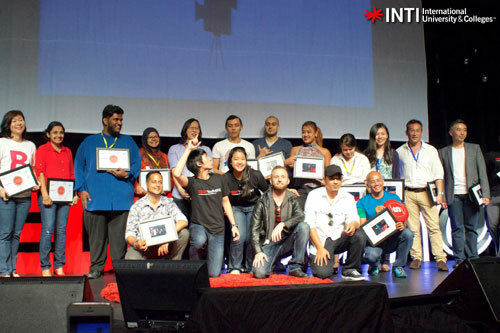 This is the second year of the partnership between INTI and TEDxKL, which saw over 100 selected INTI students given the opportunity to attend this hugely popular event. “It’s brilliant that INTI students are given opportunities to attend events like this every year and it just keeps getting better. Attending TEDxKL was an unforgettable experience, after all, it was the third biggest TEDx event in the world,” said Alexander Leo Morris, a final year business student from INTI International College Subang who attended the event. Apart from being guests, several selected INTI students had the chance to be part of the organizing crew to gain some invaluable experience coordinating one of the biggest TEDx events in the world. In addition to TEDxKL, INTI students also have the opportunity to be part of global events such as the Clinton Global Initiative and World Business Forum, due to INTI’s link with the Laureate International Universities network.